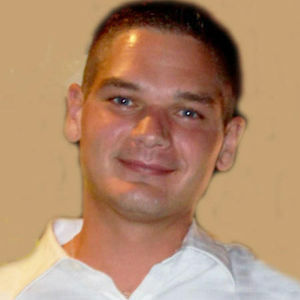 Luke A. Johnson, 33, Fargo, ND, passed away, Friday March 29, 2013, at rural Hankinson, ND. A Funeral Memorial Service will be Friday, 11:00 a.m., at Bethel Lutheran Church, Wahpeton, ND, with Rev. Jule' Ballinger officiating. There will be visitation and sharing with the family one hour prior to the service at the church. Interment will be at Riverside Cemetery, Fargo, ND. Vertin-Munson Funeral Home, Wahpeton, ND, is in charge of arrangements. Luke Andrew Johnson was born November 24, 1979 in Breckenridge, MN. He grew up in Wahpeton with his brothers, Trent, Jed and Jesse. He married Jen Vagts on August 28, 2008. They welcomed twin girls, Savanna Blu, and Isabella Rose in 2009. Luke adored his girls and was an amazing daddy; he called them his little princesses. Luke loved God and went through an intensive Faith program. He experienced a full immersion baptism in 2005 and even guided his mom through important chapters and verses in the Bible. Luke loved hanging out with his brother Jed and bonding with his "pupperts". They enjoyed weight lifting and working out together. He loved deer hunting with his dad and brothers. He played hockey for Wahpeton and Fargo. He enjoyed snowmobiling, especially the "going fast part". He had a charming personality, a beautiful smile, and amazing blue eyes. Luke worked as a project Manager for Hockenberg's, in Fargo alongside his dad. Luke is survived by his wife, Jen Johnson, their twins, Savanna & Bella, Fargo; his parents, Cleve (Debbie) Johnson, Fargo; Laurie (Scott) Stiller, Wahpeton; his brothers, Trent (Delayne) Johnson, their kids, Brooklyn & Brody, Lakeville, MN; Jed (Holly) Johnson, Maple Grove, MN; Jesse Stiller, Moorhead, Travis Skonseng, Fargo; great grandmother, Jennie Dahl, Fergus Falls, MN grandparents, Marion (Don) Iverson, Fargo, and numerous aunts, uncles and cousins. Preceding him in death was his grandpa, Judd Johnson, grandparents, Wally and Gloria Stigen, In lieu of flowers, memorials are preferred. The beautiful and interactive Eternal Tribute tells Luke's life story the way it deserves to be told in words, pictures and video. Jen, We are so sorry for your families loss. You and your girls will be in our thoughts and prayers. Cleve, Debbie, Trent & Jed, May prayers be with you during this hard time. Luke will be truly missed.